If I’m not mistaken you probably never heard about the Tomárâho. I never did until a few weeks ago when somebody brought to my attention news about the Tomárâho Dictionary. The Tomárâho, a subgroup of the Ishir (Chamacoco) of Paraguay, are one of the few remaining indigenous populations who have managed to keep both their language and spiritual beliefs intact. They have lived for many years in a remote region of the Chaco, having limited contact with European or Latin American cultures. In the last 25 years, the Shamans and teachers, men and women, have worked on giving their language, which they call yxyr húlo, written form. Many years of work produced digital versions of texts, stories, and oral myths written in Latin orthographic form. 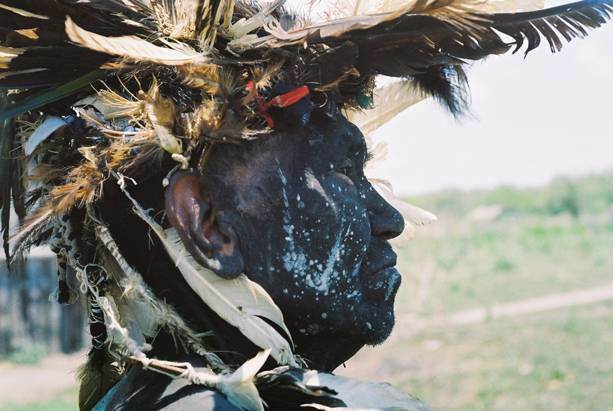 Guillermo Sequera – an anthropologist who has been working with the Tomaraho for the past 25 years – and his team were able to record the Shaman’s voices to then transcribe thousands of tales that explain the Tomárâho cosmogony, conception of ecological balance, cuisine, reason for beings and things, as well as the techniques, gestures and origin of words. Unfortunately the Tomaraho existence is today threatened. The Tomárâho, the last remaining indigenous hunter-gatherers in the Eastern Paraguayan Chaco, are now on the verge of disappearing due to the poverty resulting from the transformation of their habitat, degradation of natural resources, and the pressure out of the expansion of economic activity. Young people move to the cities of Paraguay and Brazil, abandoning their beliefs and often denying their origin to avoid being victims of discrimination. Today there are only about 160 Tomárâho left, among them 43 school-age children. As part of their efforts to preserve Tomaraho culture and language they created a dictionary that has about 7000 words, which if they manage to get it published, will be used to teach others to read and write, especially school age children. However, funding is necessary to publish these invaluable cultural records in paper as well as in electronic format. With the proper funding, Sequera and his team hope to publish the first Cultural Dictionary for the Tomárâho community.